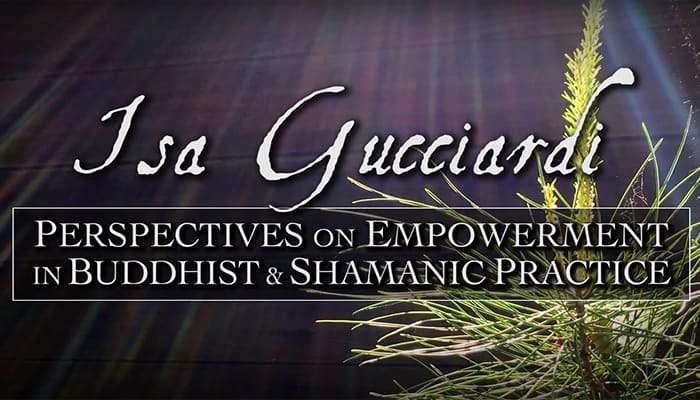 Isa Gucciardi discusses the similarities and differences in initiatory power in shamanism and Buddhism. She explores the concepts of deity meditation, vajrayana practices, and working with power. Isa is the author of Coming to Peace, the Founding Director of the Foundation of the Sacred Stream, and the creator of the ground-breaking therapeutic model, Depth Hypnosis. This talk takes place at the Sacred Stream Center in Berkeley, CA.